Undertaking a home renovation can be a little overwhelming you haven’t renovated before. Not understanding the process and being unsure about what impact a renovation will have on your family during the process can be difficult. Home renovations can vary enormously from simple one-room renovations to a complete house demolition back to the structural bare bones. Throw in the complexity around planning regulations, government approvals and insurance requirements and you may find the whole renovation process a little too much to do it yourself. 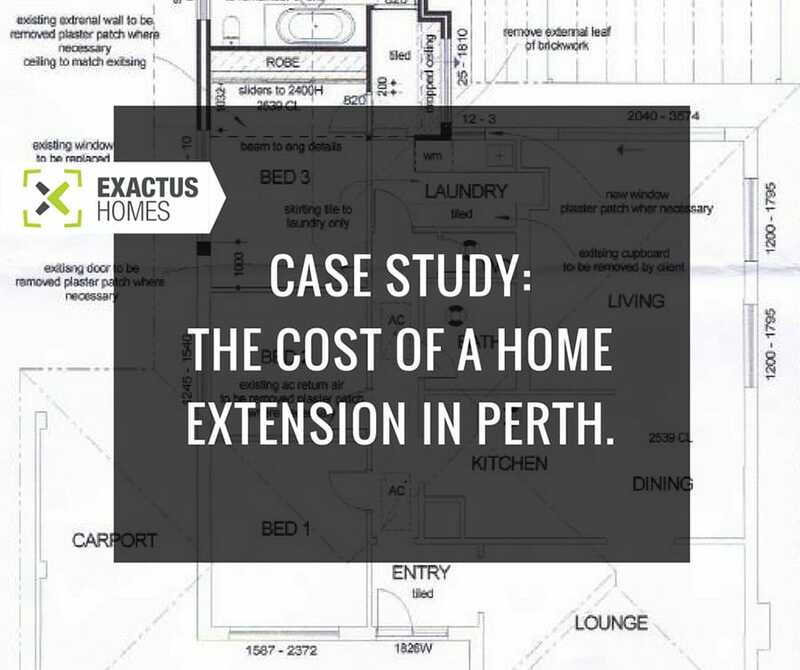 At Exactus Homes, we are Perth’s home improvement and home renovation specialists. We understand the ins and outs of renovating and love to work closely with our clients so you can draw from our experience understand the process and have your renovation project run smoothly from start to finish. 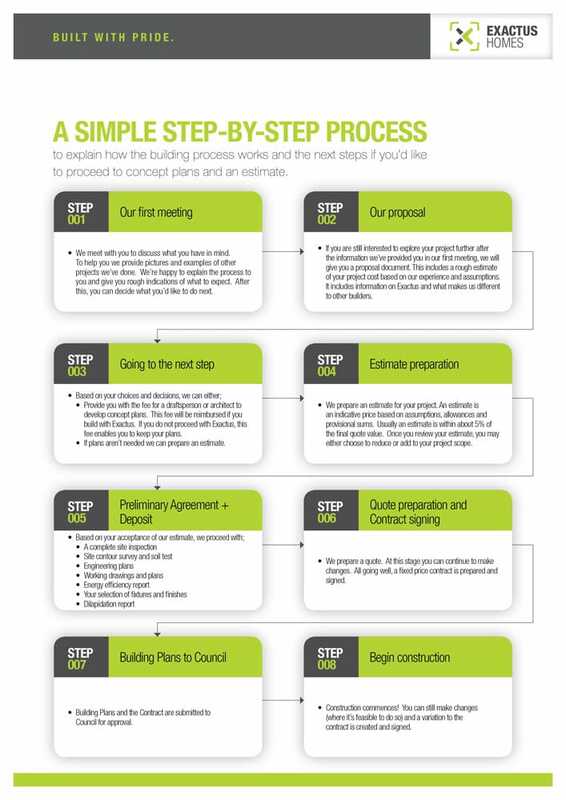 While no two renovations are the same, we developed a flowchart that explains how a standard renovation process unfolds when working with Exactus Homes. When you first contact Exactus Homes, we will begin by asking you about the project you have in mind. At this time we will also arrange a face-to-face meeting with you at home, so we can see the space and evaluate your requirements. Ralph Brewer is the owner and renovation builder at Exactus Homes, and he will typically be the one to come and meet with you. The key to any successful home renovation is close supervision from an experienced renovation builder. 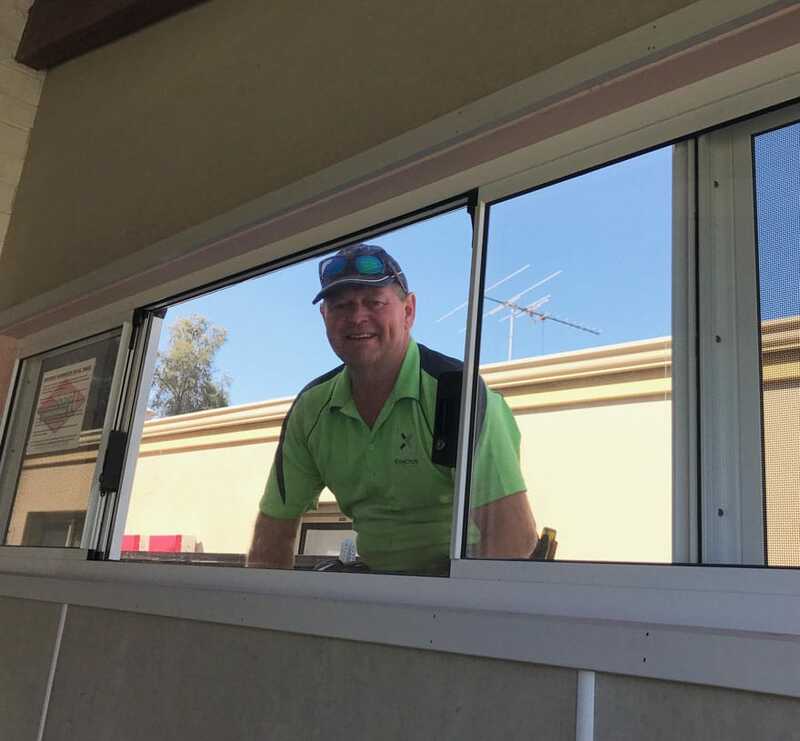 Don’t be surprised to see Ralph taking a close look at everything along the way to ensure your home renovation is built with pride. During this initial consultation, Ralph will explain the full renovation process and advise you on what to expect with your renovation. Don’t worry if you are still unsure of what you want at this stage. We meet many people who have a rough idea about what home improvements they want to make, but have no real idea about how to go about it or if the renovations are even possible. During our initial consultation, Ralph will answer any questions you have and give you advice on the best way going forward. After this meeting, you can decide what you’d like to do next. When you are ready to move forward with your renovation project, we will clarify and confirm the details we have with you and issue you proposal documents. These documents outline the details of the renovation including rough project costs based on our experience as well as assumptions drawn from our on-site visit. These documents will include information about Exactus Homes, what makes us different to other renovation builders and what you can expect from us throughout your renovation. Provide you with the fee for a draftsperson or architect to develop concept plans. This fee will be reimbursed if you build with Exactus Homes. If you do not proceed with Exactus Homes, this fee enables you to keep your plans. If plans aren’t needed, for example, for a simple internal home renovation, we can prepare an estimate. If the proposed costs exceed your budget, we can work with you and suggest ways to reduce costs. This can include reducing the scope of work, arranging for the work to be carried out in stages over an extended time frame, doing some of the finishing work yourself (such as painting and landscaping) or simplifying the plans to better meet your expectations. We understand that keeping within budget is an important element to any renovation or home improvement and we are always happy to tailor our services to achieve the best outcome for you. We will then prepare an estimate for your renovation project. An estimate is an indicative price based on assumptions, allowances and provisional sums. Estimates are more accurate than proposed costs. They are usually within about 5% of the final quote value. Once you review your estimate, you may again choose to adjust your project scope by adding or reducing work required. Compiling an estimate is an extensive process for Exactus Homes. Using your plans, our suppliers and trades will source and supply costs for their materials and services. This process can take several weeks as we wait for their responses and collate all of the costs received, but we will keep you updated on the progress throughout the process. When providing you an estimate for your projects, all costs will be clearly specified and broken down so you can see the full details rather than providing one big number. An example showing the detail we provide can be seen in this renovation case study. We will also prepare a formal quote and a fixed price contract for you to sign. You can continue to make changes up until this stage, although once the contract is signed, any changes then become variations to the original scope of work. Building Plans and the Contract is then submitted to your local Council for approval. Just like getting estimates, this process can take a few weeks while the plans are reviewed. If you renovation work is only small, you may not need council approval in which case, we will skip this step. When all other steps have been completed, demolition and construction commences! Again, it still may be possible to make changes during the construction process and these will be discussed in detail and handled as variations to the original scope of work. We maintain open communication at every stage of your renovation project so you won’t be left in the dark and you can communicate your ideas and expectations with us so we are all on the same page and achieve a stunning end result.